Our setting is 16th century Spain. The Inquisition has expelled the Jews or forced them to convert. Teresa of Avila is igniting the imagination of the country as the nun who receives messages directly from God. Alma de Leon, a young Jewish converso, appears on Teresa’s doorstep, petitioning to become a novice in her care. Their complex relationship explores the feminine archetypes of the Amazon, and the Medial Woman, in a story that unveils the foundations of psyche’s movement toward wholeness: Kabbalah, and Christian rapture, in an oppressive yet luminous time. This play is a work of creative imagination based on the interaction of a true historical character and a fictional one. Teresa of Avila is admired to this day not only by Catholics and Christians, but by Taoists and Buddhists, psychologists and poets. Carl Jung was fascinated by her master work, The Interior Castle, for its description of the journey of the soul toward intimacy with God. The fictional character, Alma de Leon, is inspired by twentieth century Jewish philosopher, Edith Stein, who chanced to read Teresa’s autobiography, and experienced a profound spiritual awakening that led her to become a Carmelite nun. “What if these two were to meet?” the playwright asked herself, crafting the character of Alma as a Jewish woman true to her time and place in history. The teaching of the ancient Jewish mystical tradition, the Kabbalah, was strictly forbidden by the Inquisition, and yet Alma is haunted by it, even as she dons the habit of a nun and struggles to find her identity in the presence of her passionate, spiritually adventurous mentor. On the Doorstep of the Castle combines a dramatization of the very real historical figure, Teresa of Avila, with a fictional character, Alma de Leon. The idea for this dramatic convention came when I was researching Teresa’s life and works. I saw her as the “rock star” of the Medial Woman, someone who mediates for others between heaven and earth. I wanted to place her in a story with a woman who embodied the Amazon. I made several attempts, placing Teresa in an imagined realm in the Collective Unconscious with real historical Amazon figures. It was a miserable failure. The characters were hollow, stilted. I woke one morning and realized I was trying to be Samuel Beckett, author of Waiting for Godot. How very silly of me. But the writing process is always a teacher. With respect to Beckett’s genius, I realized that because of who I am, I needed to place my characters in a real world context, with real struggles and challenges. I was aware of the twentieth century Jewish philosopher, Edith Stein, who chanced to read Teresa’s autobiography and realized it was what she had been searching for all her life. She converted to the Carmelite order, yet could not curb her criticism of the Pope, who turned the other way while the Jews were being led to the death camps from Italy. Her public denunciation eventually resulted in the Gestapo escorting Edith and her sister, Rosa, to Auschwitz, where they were exterminated in 1942. I tossed out my preconceptions and ideas about the story, and just let the characters guide me. Alma had Edith’s courage, but was not a philosopher. She was a woman of the senses, the earth, the arts. I allowed the action of the play to follow Alma’s desires, as I also followed the real life events in the history of Teresa of Jesus. Many of the raptures come from Teresa’s own writing: the angel piecing her heart, the devil snarling in her ear, the vision of the crystal globe in the shape of the castle, and the metaphor of the white butterfly. In history, she was indeed ordered to take to the road and establish as many Discalced convents as “there are hairs on your head.” She was imprisoned by the church when her Discalced convents threatened the established order, excommunicated, and accused of sexual relations with the Discalced monk, Jerónimo Gracián. She denied any carnal association, but the two had such a passionate friendship, after her death, Gracián cut her left ring finger from her body and wore it around his neck for the rest of his life. These wonderful details are told brilliantly in Shirley du Boulay’s biography, Teresa of Avila: An Extraordinary Life. In the play, many details were adapted to fit the needs of the dramatic form. In history, Teresa wrote her books on a draughty window sill. We transposed this to a chair. Teresa’s beloved copy of Osuna’s Third Spiritual Alphabet was indeed impounded by the Inquisition, and the nuns in Saint Joseph’s spent their evenings singing and dancing, with Teresa composing many of the songs. I imagined Alma as a descendent of Moses de Leon, the historical Jewish scholar who wrote The Zohar, the book of the Kabbalah. Of course Alma would be descended from this man, since a large part of her spiritual journey is to learn the tradition of Kabbalah, and how it applies to her path of individuation. Alma’s experience of the execution of her grandfather, the expulsion of her beloved cousin Eli, her own forced conversion to Catholicism, are fictional representations of very real events. Beginning in 1492, Spanish monarchs Ferdinand and Isabella, expelled most of the Jews from Spain. The Inquisition finished the job by executing the most “rebellious,” and forcing the rest to convert. Many scholarly works chronicle this story, including A History of the Jews by Abraham Leon Sachar, and Jerusalem and A History of God by Karen Armstrong. Another surprise came to me as I allowed the characters to write the play: both are Amazons, both are Medial Women, both are entirely human, filled with fear, dread, shame, passion, doubt, a longing to belong, and to connect with a world larger than themselves. I developed an even greater respect for Toni Wolff’s essay, Structural Forms of the Feminine Psyche. Her four archetypal feminine energies: Mother, Hetaira, Amazon, and Medial Woman flow through all of us, including men who are aware of these aspects of their inner anima. These energies are not mythological goddesses on a cloud. They live and breathe through our flawed, yearning humanity. The title of the play is On the Doorstep of the Castle, because in my experience, this is where we find ourselves, again and again. We may enter the innermost castle, lose our inflated ego, and join with the Higher Self, but, sooner or later, a new life event, or arriving at a new developmental stage, brings us back to the doorstep. There, by fighting away Teresa’s “toads, vipers, snakes,” we find our courage, our will, our tireless Amazon of the soul, and She makes us whole, again and again. Elizabeth Clark-Stern’s produced plays and screenplays include All I Could See From Where I Stood, Help Wanted, and Out of the Shadows: A Story of Toni Wolff and Emma Jung. Out of the Shadows was performed at the International Jungian Congress in South Africa in 2007, in Seattle, and for the Archetypal Theater Company in New Orleans in 2011 featuring Rikki Ricard as Emma, and the author as Toni Wolff. Subsequent productions have been mounted in Atlanta, Birmingham, and other cities featuring Lucie Magnus and Nancy Qualls-Corbett in the title roles. 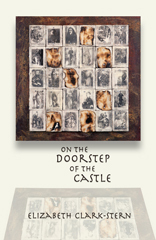 On the Doorstep of the Castle premieres at the International Jungian Congress in Copenhagen in 2013.